Mr William Harvey Lillard was the janitor contracted to clean the Ryan Building where D. D. Palmer’s magnetic healing office was located. In 1895, he became Palmer’s very first chiropractic patient and thus entered the history books. The very foundations of chiropractic are based on this story. To call the ‘Chiropractor’ a reliable source would probably be stretching it a bit, and there are various versions of the event, even one where BJ Palmer, DD’s son, changed significant details of the story. Nevertheless, it’s a nice story, if there ever was one. But, like many nice stories, it’s just that: a tall tale, a story that might be not based on reality. In this case, the reality getting in the way of a good story is human anatomy. 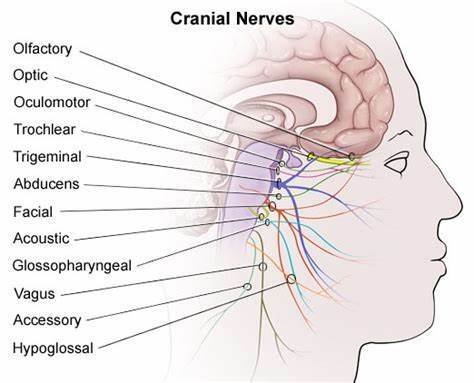 The nerve supply of the inner ear, the bit that enables us to hear, does not, like most other nerves of our body, run through the spine; it comes directly from the brain: the acoustic nerve is one of the 12 cranial nerves. 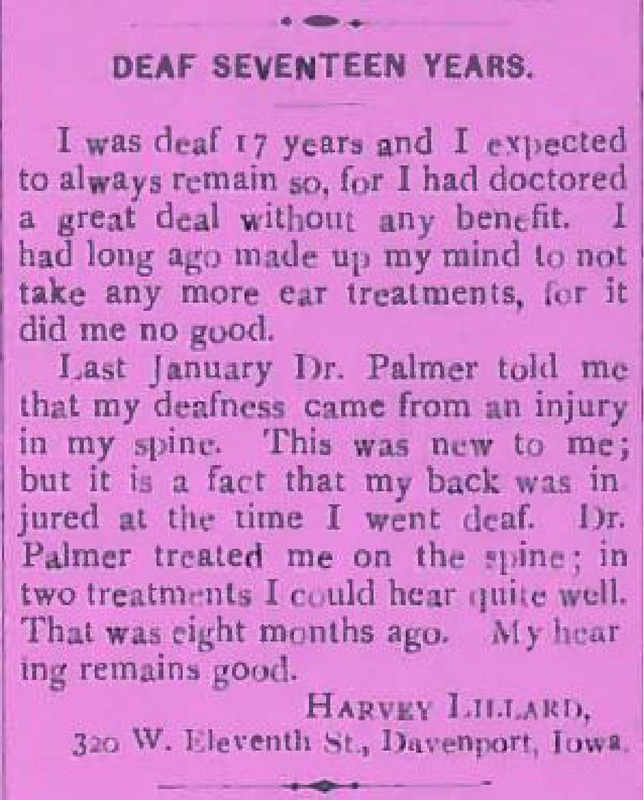 … the very first chiropractic patient in history was named William Harvey Lillard, who experienced difficulty hearing due to compression of the nerves leading to his ears. He was treated by “the founder of chiropractic care,” David. 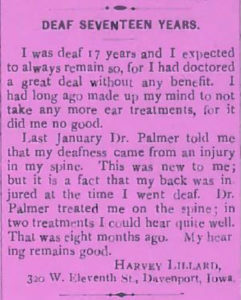 D. Palmer, who gave Lillard spinal adjustments in order to reduce destructive nerve compressions and restore his hearing. After doing extensive research about physiology, Palmer believed that Lillard’s hearing loss was due to a misalignment that blocked the spinal nerves that controlled the inner ear (an example of vertebral subluxation). Palmer went on to successfully treat other patients and eventually trained other practitioners how to do the same. How often have we been told that chiropractors receive a medical training that is at least as thorough as that of proper doctors? But that’s just another tall story, I guess. Or in the spirit of the season, Jesus getting fixed up after some back, arm, & leg injuries. Folk, H. (2017). The Religion of Chiropractic: Populist Healing from the American Heartland. UNC Press Books. It’s also interesting to note that, six years after inventing chiropractic, DD Palmer discarded it https://www.facebook.com/204610332906631/photos/a.349152545119075/2047167945317518/?type=3&theater only for it to be resurrected by his (ruthless) businessman son, BJ Palmer. So your point is that there are conflicting accounts of something that supposedly happened around 1895? Uh, OK.
How does one determine who was telling the lie? Having discussed this topic many times over the years, we have concluded…we don’t know based upon current available evidence. none of them tally with the anatomical truth. even you should be able to conclude that most or all of these tales are simple lies. i agree that there are different accounts of the event. I cannot tell from the current evidence who was telling a lie, if anyone. of course for it to be a lie, it would have been told with the intent to deceive. Yet it’s interesting that around 10% of whiplash victims will report otological symptoms such as tinnitus, deafness and vertigo (J Forensic Leg Med. 2009 Feb;16(2):53-5) and hearing loss is reported in other whiplash cases as well (ex Acta Otolaryngol Suppl. 1995;520 Pt 1:53-6). So maybe you should do some background research. to justify the Palmers’ porkies? to redefine the path of the acoustic nerve? i will do some checking, but I don’t recall reading that DD Palmer accredited the change in Lillard hearing to the acoustic nerve. Of course the mechanism may have been due to other pathways as the cervical sympathetics are known to also influence the auditory system. 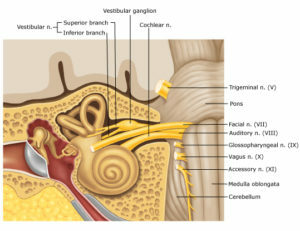 so, stellate ganglionic blocks are ineffective in the treatment of idiopathic sudden sensorineural hearing loss? Palmers’ story is reminiscent of the fellows having seen ‘ol Lazarus wondering around. No other possible explanation besides rising-from-the-dead. Couldn’t be misinterpretiion of events….or lying. Nope. Perhaps there is at least a pathway? Seventy percent of the stellate-ganglion-block-treated patients achieved substantial hearing improvement. Only 15% to 20% of the non-stellate-ganglion-block-treated patients achieved substantial hearing improvement in discrimination or pure-tone levels. Stellate ganglion blocks for idiopathic sensorineural hearing loss. Haug O, et al. Arch Otolaryngol. 1976. 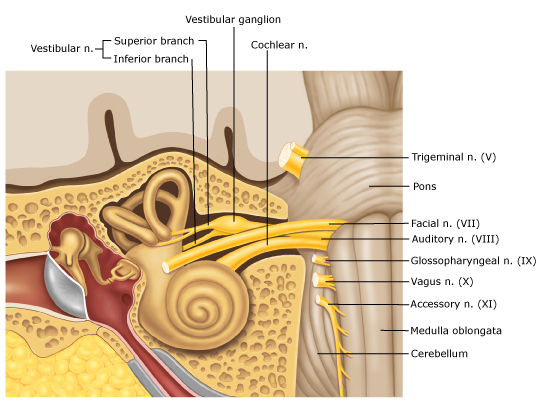 To the Editor.—I wish to call attention to an important alternative conclusion about stellate ganglion blocks in the treatment of idiopathic sudden hearing loss (SHL). In their paper recommending this treatment, Haug et al have merely succeeded in demonstrating once again that the earlier the diagnosis is established, the better the prognosis.1 The authors did not take into account that a high percentage of patients with SHL will recover spontaneously, treatment or no treatment. In fact, 43% can expect a return to normal hearing if the diagnosis is established within the first week, if one excludes all patients whose loss remained undiagnosed for more than one month (as was done in the previous study).2 I strongly suspect that SHL is much more common than generally believed, that many people recover spontaneously without seeing a physician, and that others recover while under the care of their family physician. Lies, lies and more lies from the masters of lying, chiros. Show me where I lied. Pain Medicine. October 2010. Effect of Stellate Ganglion Block on the Cerebrovascular System: Magnetic Resonance Angiography Study.